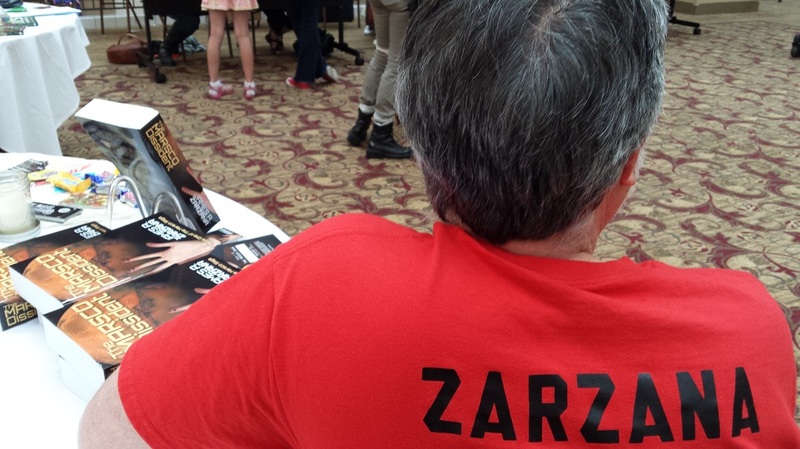 This is the website of James A. Zarzana. Here, you will find a sampling of his fiction, particularly the Marsco Saga, which is a series of speculative fiction novels, as well as the mental wanderings recorded in The Eclectic Blog. See also The Marsco Saga website as themarscosaga.com. This site has more information about The Marsco Saga and my recent publication, The Marsco Dissident, Book I of the Saga. Thanks. All creative works on this website are the property of James A. Zarzana. Please see the Contact page for the Content Policy. Here I am with the first two novels of the four-novel sequence, THE MARSCO SAGA. 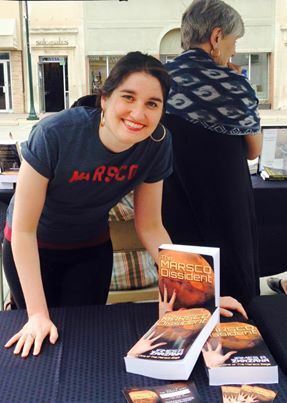 THE MARSCO DISSIDENT was published in 2014. MARSCO TRIUMPHANT was released in the Spring of 2016. Jim doing one of his many presentations in the summer of 2016 at Watertown Library, Watertown, SD. 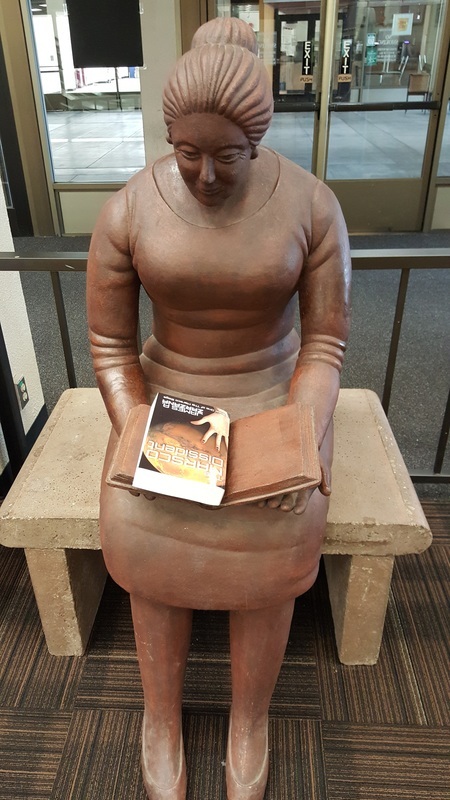 Summer reading at Tracy, Minnesota, Library. A small but enthusiastic crowd. I had a great time. 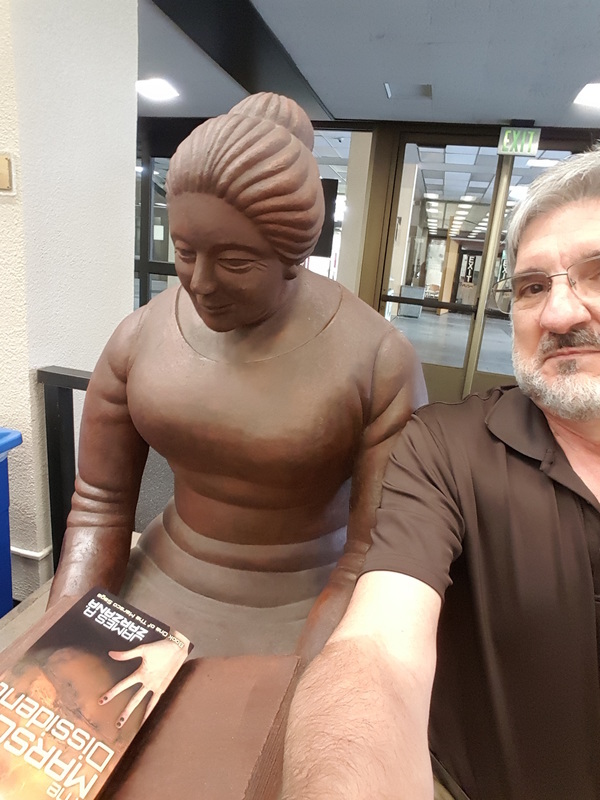 This past August, while in Sacramento, I gave copies of The Marsco Dissident to the Sacramento State University Library. I earned my MA at Sac State many years ago. And, the campus makes appearances in the first three novels of The Marsco Saga. Here I am chatting up a lovely and talented Sac State coed as she reads my novel. It takes a team effort when self-publishing. For those of you who don’t know, after 41 years in the classroom—26 of those at Southwest Minnesota State University—I decided to step down from teaching to focus totally on my writing. “Retirement” for me will not be fishing or golfing; instead, it is a new fulltime career. I loved teaching. When I retired, I was granted emeritus status. Like the Cowan Award I received from SMSU in May 2014, emeritus is not given lightly. I am humbled and touched by this honor. The Marsco Saga is a four-novel set. The first novel, The Marsco Dissident, has been available since 2014. You may buy it via the link above. Book II, Marsco Triumphant, is about to be released. It should be out by the end of September. Look for Books III early in 2018. Book IV will follow as soon as possible after that. Writing fulltime brings a different cadence to my life. Without classes to prep and teach, without papers to grade and meetings to attend, I can set a schedule to write every day and to work on whatever major project I wish. Currently, those two projects are finalizing Book II and launching it, then revising/editing Book III so my editor can begin her work. I am reminded of the comment made by the Head of the European Space Agency after Philae landed on Comet 67P in November 2014. This feat was the first time a probe launched from Earth attached itself to a comet. He said, “The biggest problem with success is that it looks easy.” A fantastic reminder to anyone who thinks the medal winner, the state champion, the top student, and the scholarship winner did her or his work without strain and sacrifice. I have yet to achieve fame. I do have a small band of devoted readers eagerly and noisily anticipating Book II. And that’s fun. However, by stepping away from an arena where I was successful in order to step into the world of self-publishing and self-promotion, I am engaged in a project that may take me places I never dreamed of. Some of those places may include honors and awards such as I earned in the classroom. Some of these places may be long days and many hours of work without getting noticed. I am willing to take the risk. I can’t get to where I want to be unless I set my course totally toward that goal. I can no longer do this in half measures or on the sidelines or during a few weeks of summer when I had no classes or administrative duties. It will be full tilt from this point on. I want to boldly take my readers to places they’ve never dreamed of too. Jim with JRR Tolkien portrait at Eagle and Child Pub, Oxford, August 2013. I am originally from Sacramento, California, but have lived in Indiana, Pennsylvania, and Minnesota. I hold a BA in English from St. Mary’s College of California and an MA in English from Sacramento State University. I eventually completed my PhD at the University of Notre Dame. My specialty areas are 19th Century British literature and the British novel. After finishing my degree, I taught at Valparaiso University then at King’s College in Wilkes-Barre. In 1989 I came to Southwest Minnesota State University in Marshall, Minnesota, as an assistant professor. In May 2015 I retired from fulltime teaching to devote myself entirely to my writing. I follow college football, especially Notre Dame, and enjoy cooking. I am married to a fellow professor and poet; we have a daughter who graduated from Notre Dame and is now teaching in Sweden. I love dogs. 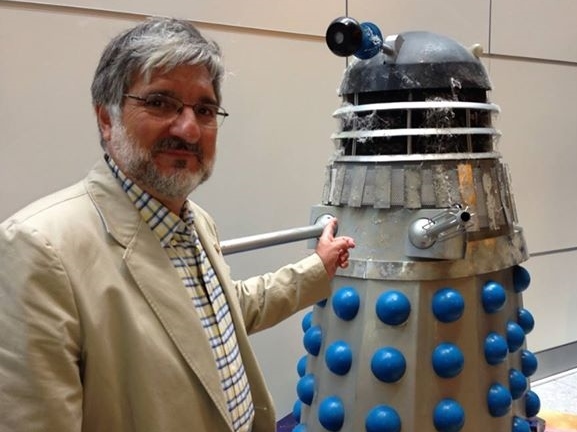 Jim faces down a Dalek, London, August 2013. To buy a copy of The Marsco Dissident, click here. You may buy the print or Kindle version. 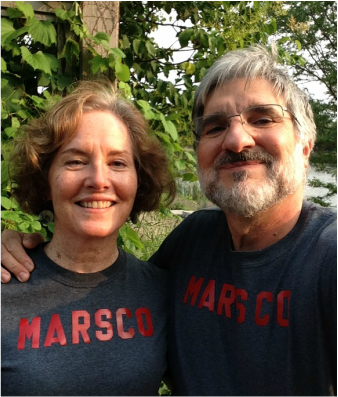 Look for Marsco Triumphant in Spring 2015, also in print or Kindle. Thanks.